These are the two best teams in the NFL and they are huge rivals. Each of these teams are mirror images of one another. They both have stifling defenses, dual threat quarterbacks, and fantastic coaches. The key for the 49ers is the play of quarterback Colin Kaepernick. He is going to be playing in one of the most hostile stadiums in the NFL. Also it is the biggest game ever played there. It is going to be LOUD in Seattle and impossible to make any audibles. Kaepernick has to battle through adversity and get the job done. Let’s remember, he and the Niners were here last year and they made the Super Bowl. The key for the Seahawks is running back Marshawn “Beast Mode” Lynch. He is a power house half back and the last time they played in San Francisco he went off. 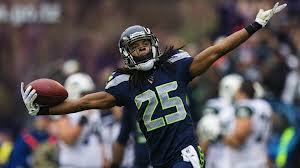 The Seahawks would be unstoppable with a solid running game. I think the crazy Seahawks crowd will be too much for the 49ers to handle and I think the Seattle Seahawks will be marching on to the Super Bowl. Finally the BCS National Championship is here. It is the undefeated dynasty against the team of destiny. The Florida State Seminoles have rolled through their schedule destroying every team. 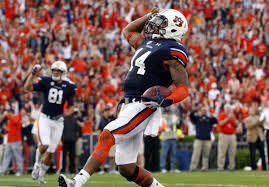 The Auburn Tigers are battle tested though, all of there games this year have been nail biters. It is the last year for the BCS, but I think they got it right this year. Florida State, in my opinion is the best team in the country. They have the Heisman Trophy winner, in quarterback Jameis Winston, who has been perfect all year. They are the favorites to win this football game. The key to a Seminole victory is play of freshman quarterback, Jameis Winston. He has not looked like a freshman all year but in the biggest stage you do not know if he will be rattled or not. The key for the Auburn Tigers is the pass rush. They do not have the greatest secondary, but if they put some pressure on Winston, this may look like the Oregon vs Auburn National Championship game, low scoring. Prediction: I don’t think that anyone can stop the Tigers run game. Florida State will still light up the scoreboard. In the end I think Auburn will win the game because they have been in nail biters all year and can handle the pressure of such a big game. Florida State may have a chance to win the game, but could have trouble closing it.